The apostle Paul summed up his whole ministry as existing “to testify to the gospel of the grace of God” (Acts 20:24). 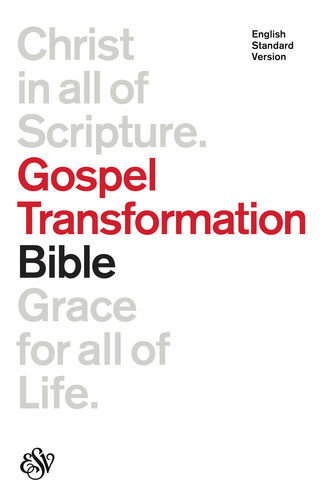 That single-minded goal is the heartbeat of the ESV Gospel Transformation Bible. Produced out of the conviction that the Bible is a unified message of God’s grace culminating in Jesus, it is a significant new tool to help readers see Christ in all of Scripture, and grace for all of life. Sign up for a free 14-day email devotional through the book of Hebrews adapted from the Gospel Transformation Bible at crossway.org/dailyGTB. 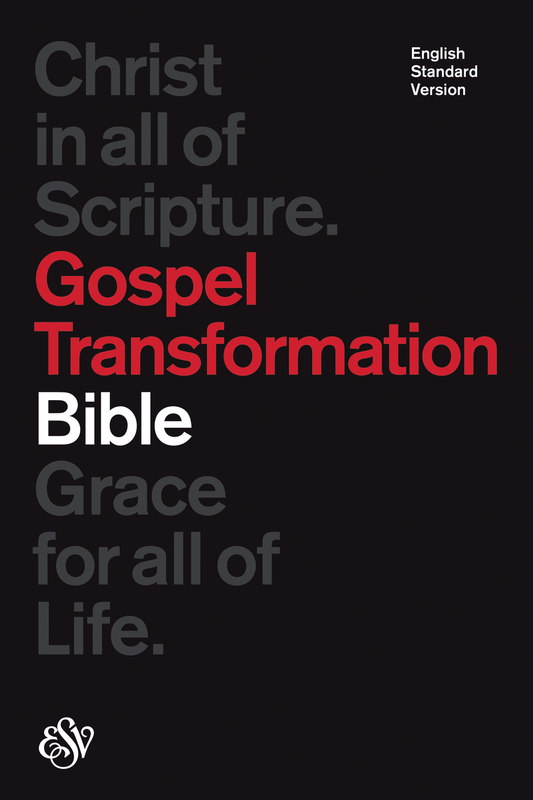 "The ESV Gospel Transformation Bible is a unique resource blending biblical, systematic, and practical theological insights to help us understand what the Bible teaches about grace and personal change." "I spent years blind that the gospel story was threading through all of Scripture and the Bible came to life when I got that truth. The ESV Gospel Transformation Bible shows Jesus and the gospel everywhere, and will empower your heart for Jesus, your love for the gospel, and your ability to share it with others." "The ESV Gospel Transformation Bible is a wonderful tool that can help you read the Bible the way it should be read: as a unified whole, and with a thirst for life transformation. I can’t wait to use it in our family devotions and to give a copy to my pastor." "The ESV Gospel Transformation Bible contains invaluable resources for helping us understand how God’s power in the gospel shapes every moment of our lives." "This is a seminary education packed into one book."